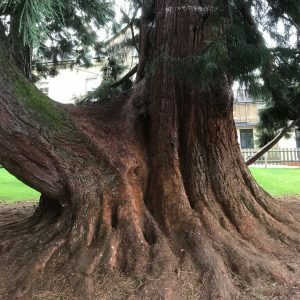 We hope that this list of common questions is useful but if your question is not answered, or you are looking for a tree surgeon in Hertfordshire, please don’t hesitate to contact us. If a tree is growing within the boundary of your property you, as the owner, have a responsibility to ensure that it is maintained and is in a safe state. It is also your responsibility to ensure that your tree does not cause damage or injury to others. In law this is dealt with under Common Law Duty, the duty of care. It is an order made by the Council which in general makes it an offence to cut down, top, lop, uproot, wilfully damage or wilfully destroy a tree without the planning authority’s permission. A conservation area is “an area of special architectural or historic interest, the character or appearance of which it is desirable to preserve or enhance”. (Planning (Listed Buildings and Conservation Areas) Act 1990). Effectively, all trees are protected within this area and the council require notification to carry out any tree works. When is the best time to have my trees pruned? Each tree species has its own requirements. Prunus like to be pruned in warm dry weather, typically in June, July and August. This reduces the risk of silver leaf. Fruit trees, such as apples and pears, are better pruned in winter months to aid fruiting. It is important that pruning works are carried out at the correct times to stop the risk of fungal and bacterial infections. Yes, everything is taken away and recycled. We have a waste carrier licence to legally transport the waste. Logs are processed for firewood and the wood chip is taken to a local farm where it is composted for a year and then ploughed back into the land. What if my neighbour's tree is overhanging my property? The law states that you are entitled to cut back branches from overhanging trees to the boundary line, but it does not allow you to trespass to achieve this. Common sense suggests that the best course of action is to discuss the problem with the tree owner and come to an amicable agreement. It may be more beneficial for the tree to receive a crown lift or reduction as opposed to cutting back just the offending branch(es) and unbalancing the tree. It is recommended to carry out any tree works in accordance with good arboricultural practice. Poor tree work can be counterproductive and is often potentially dangerous. Can I get a quotation from you over the phone? It is possible but inadvisable as every tree, stump and garden is different and has its own special features. Our pricing policy is based on a number of factors including the tree species, its location and its condition. If the tree is situated in a rear garden, the access must be considered for the removal and disposal of the resulting debris. We also have to take into consideration any garden features which are in close proximity to the tree, such as sheds, greenhouses and fences. My neighbour's trees cast large amounts of shade over my garden. Do I have a "right to light?" There is no effective right to light or a view in English law. The prescriptions act does afford a right to light. However, it is severely limited and using it in relation to trees is problematic and generally unsuccessful. I appreciate that accidents can happen. What if my property gets damaged as a result of the tree work you are undertaking? Evoke Tree Services Ltd. has an impeccable safety record, and the methods and techniques we employ are designed to minimalise the risk of accidents happening. In the unlikely event of damage occurring to any of your property, rest assured that we are fully insured. A copy of our insurance policy is always carried in our vehicles.